Switzerland invite Japan for a friendly match where both sides will try adjusting their mechanisms to perform at their best when approaching the most important competition in four years - the World Cup 2018 in Russia. The fixture is scheduled at the Swiss Cornaredo Stadium in Lugano. Our prediction displayed below. The Swiss national team have enjoyed a positive string of results including a honorable draw at mighty Spain (1:1) five days ago. Not everything is bright for coach Vladimir Petković however, as he is forced to cope with absense of Admir Mehmedi who still suffers after an injury and some fitness issues of Granit Xhaka. These two are forwards. Except them, the core of the Alpine squad has been more or less the same already for two years that means well-organized teamwork and mutual understanding on the pitch which result in only 1 loss in past 15 matches. Die Nati experienced a nice WC'2018 qualifying campaign where they finished second in the Group B with the equal number of points (27) with Portugal. However Switzerland had a big advantage in the ranking of runners-up so the Swiss never worried about their promotion even if missing the top spot in the group. The preparation matches just continue this trend. This friendly encounter with Japan is the final rehearsal for Switzerland before their start in Mundial on June 17. In April 2018 the Japan Football Association sacked the coach Vahid Halilhodžić. Replacing him, Akira Nishino stepped up having very few time and test matches to improve the team before the World Cup. The new commander finally didn't change the squad much, deciding to rely mostly on the experienced and proven fighters like Shinji Okazaki (112 caps), captain Makoto Hasebe (109), Yūto Nagatomo (101), Keisuke Honda (94) and so on. 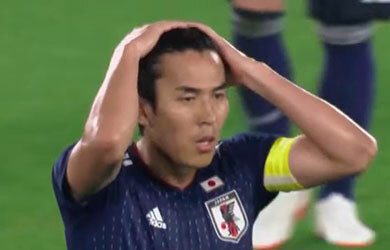 However, there are some forced changes due to injuries of Yasuyuki Konno (93), Hiroshi Kiyotake (44) and Yu Kobayashi who were featured in the preliminary squad but eventually miss the Russian event. The Japanese can't show much optimism regarding their recent results. Although the AFC Confederation qualification came pretty easy for Japan (first place in the Group B with 7 points gap from non-advance zone), the performance has been far from convincing. It goes only worse in recent friendlies for the Samurai Blue. Coach Akira Nishino certainly still has a lot of work trying to fix as much as possible in the rest dozen of days. The final chance for experiments will be on June 12 in a friendly against Paraguay to take place in Austria. For Switzerland it looks more like a training where they need almost nothing except gaining a practice for some bench players and avoiding injuries. While the Asians still have a lot to prove and work on. So we recommend to consider an away asian handicap, for example, Japan +1 @1.62. Bet it with Pinnacle.